The Scottish Anglican Network welcomes the initiative of the Primates Council of Gafcon which led to the consecration of a missionary bishop for Europe on Friday 30 June. This was done in response to the decision by the Scottish Episcopal Church to redefine marriage in its canons as no longer only being between a man and a woman. Church leaders and laity from Scotland were present at the consecration which took place in the context of the closing eucharist of the Assembly of the Anglican Church in North America. 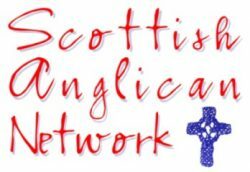 The coordinator of the Scottish Anglican Network, the Reverend David McCarthy said, “Many Anglicans in Scotland are thankful to the GAFCON Primates for their leadership and especially to Archbishop Foley Beach and the other bishops of ACNA for their willingness to offer support to those in Scotland who are broken-hearted at the departure of the Scottish Episcopal Church from the catholic faith. We look forward to working with Bishop Andy Lines as we discern the best ways of growing our churches under biblically faithful leadership”.